Buy YoYos Unresponsive & Responsive | YoYoJam YoYoFactory Duncan Yo Yo. Not only do we have a huge range of yoyos to suit every style and level for sale but we also have spare yo yo string, yo-yo gloves, frictions stickers, yo yo oil and loads of books and DVDs to teach you new tricks. Yo yos have been around for a long time but with modern developments new tricks and even whole new styles of yoyo play are still being invented. For a guide to what yoyo to buy have a look here. 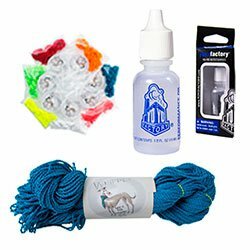 In the yo yo section you can find basic yo yos that cost very little and make great children’s Christmas or birthday presents. We also have top of the range, limited edition models and everything in between. Whatever style of play you’re into we’ve got that covered too be it string tricks, looping, off string or counterweight (free hand) play, we stock only the best. Check out our massive range from YoYoFactory and Duncan. Inevitably your string is going to wear out or get dirty and need replacing. We stock 100% polyester or 50/50 cotton and polyester quality yoyo string in a whole array of colours. Response systems can also wear out so we have friction and silicone stickers from Duncan to remedy your woes! 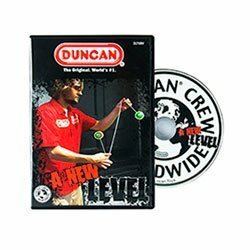 Our yo yo media section has loads of trick tutorials for beginners and advanced players in book and DVD formats. Learn to yo yo from the best!